Do you want to rent a movie tonigt? 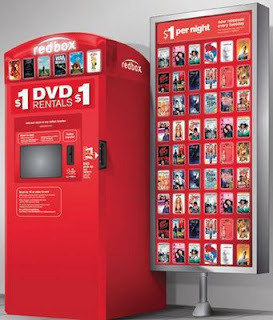 Rent one for free from Kroger Redbox locations. Use the code DVDKROG. Become a Facebook fan of Redbox and you will receive a code for a free rental on St. Patrick’s Day (3/17). Here is a free rental code for Redbox. It expires Monday, March 1, 2010 at 11:59 p.m. CST.